As many of the kernel developers do the job only based on their interest, this year kernel summit is the chance to tell your story. 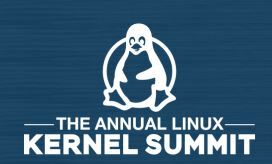 3 hobbyist programmers will be sent for the kernel summit this year. Last date to send the proposal is 24th Aug. I am writing this story but it may not be important to you. You may not find it as interesting as other similar stories. This is nothing but an experiment I did with myself few days back. From previous day cycling trip to nandi hills, I had spent every single coin of my pocket. I wanted to take some cash out of ATM before entering the office but I forgot to take out. In the lunch time, I realised that I dont have any cash. I handed over my sodexo coupon,which had only 80/- left,to the lunch coupon distributor. In the evening I decided to have the dinner also at office and ordered a veg noodles worth 25/-. Now I had only 10/- left in my sodexo a/c. Anyways day ended and I returned home without realising that I had not taken out any cash out of ATM. From the previous day, we had a movie planned for this morning followed by team lunch. I reached office on my cycle and from there we all went to Koramangala in my colleague’s car. We had a heavy lunch at CPK. In the evening, Karthik (my friend from Novell) called me to go out as this was gonna be his last week in bangalore. We had some snacks and we were back at home by 10. He stayed at my place for that night along with another Friend Argha, who had joined a company recently and was staying temporarily with me from last few days. In the night, I realised that I have spent two days without a single coin in my purse. I remembered Mehetab’s words about one of his friend who has a list of todo’s one of which says, travel to a city with less than $10 in pocket. I thought why not extend it for few days and see if I can spend this time without any cash, with the resources whatever I had. Morning started as usual. Reached the office and started the work. In the lunchtime, I realised I don’t have enough balance in my sodexo card to buy the lunch. To my luck, I had paid for one of my colleague’s lunch on last friday and he remembered to pay for mine this time. We have evening snacks served at our office with other soft drinks available 24Hrs. So evening time food was not a problem. In the evening, Argha called me that he will be staying with his parents, who were visiting Bangalore for the weekend, from tomorrow till weekend and then he will directly fly to the USA. (His company is sending him for the 3 months training). So he wanted to have a dinner together for the last time before he leaves. We had dinner at Punjabi’s. After dinner, we were walking through the Thippasandra Market when I saw a T – shirt with some catchy line. I wanted to buy that T-shirt but since I had decided to not spend any money, that was the first time I realised how tough its going to be. Ate well and slept well. The day was over. Reached office around 11AM and had the morning hot beverage from the office machine. Around 1’o clock went to cafetaria hoping that Sodexo card has been recharged with this month’s amount and yes it was. Left the office around 7PM. So now what to do for the dinner? I decided to skip the dinner that night. Watched the movie on my laptop and went for a sleep. I was really missing Karthik and Argha on this eve. Usual daily rituals. Nothing was extraordinary other than the fact that today was friday and on friday’s evening, we have a beer bash. So I left early again in the evening to avoid the beer bash. Reaching home, I was feeling very hungry. I started searching for the eatables. All I could find was some grams. I watered whatever all were there for some time and ate some of them. Ok, so this was going out of hand. Being the weekdays, it was a bit easy but extrapolating the situation to the weekend, its going to be an impossible tasks. It could not go on like this and so I decided to have tomorrow as the last day of this journey. Comparatively it was easier than the last two days. I had leftover watered grams from last night. I cooked those grams and prepared a curry similar to one my mom prepares. The amount was enough for the entire day along with some chapatis I cooked. In evening I prepared some black tea as evening snacks. Going to the bed for sleep, I had a feeling of satisfaction that I have done what I thought of. I had to goto the temple and for that I had to catch the bus which needs purchasing of a ticket that means, I had to take the cash out of ATM. Wait I could go on cycle. Naah, 6 days, enough, it was insane. After coming downstairs, I ran to the IDBI ATM and took out the Rs 900/-.Very next moment I was holding those notes in my hand, I smelled them. That smell of those fresh notes was incredible. Right after coming back from temple, I ran to the T-shirt shop but that T-shirt was gone. I was sad but I was happy also that I was able to control my will. I hadn’t lost that grip over myself yet. A lot has already been written about the movie. More than through promotion, people went to watch the movie just because of word of mouth. Movie starts with quoting an ancient paradox about Ship of Theseus – If the parts of a ship are replaced, bit-by-bit, is it still the same ship? This flick by Anand Gandhi consists of three stories. The first one is about a girl who is blind and shares a passion towards photography. This part of the movie shows some highly technological devices likes of camera telling coordinates, special printing machine for blind people among others. Some of these are fictional invention. After the girl went through the eye operation, she finds that the pictures she is taking with her vision back, are not that good than the ones she took earlier. Apart from the main theme of the movie, this also conveys the message that imagination is much more powerful than de facto beauty. The second story is about a monk who is fighting against the grave experiments on animals in the pretext of testing medicine. Later he suffers from the same disease but refuses to take the medicines as the companies producing those medicines do not follow the guidelines towards animal testing. Character of the monk is being played superbly. The belief, discussions on religion, some hilarious conversations between the advocate’s son and the monk, display of the pain in illness, hallucinations etc. are some points which affects you most in this story. Dialogues like “I am an atheist but i believe in the karma of the soul” push your thoughts further. The last story is about a stock market guy from Rajasthan who visits Mumbai for a kidney operation. Later he finds out about a guy whose kidney was stolen during an appendix operation and wonders whether he has got that kidney. He tries to find out. Though he could confirm that he has got it from a genuine donor, he now wants to help the guy. The problems he faces to find the actual recipient and the harsh truth of “value of money” are very well shown. Though the direct theme of the movie concentrate on the message of organ donation, the thread which connects all the stories is ironical. As per the philosophy of the ship of Theseus, Theseus owned the ship but none of the parts of this ship belonged to the ship when it was first made. Similarly, in first story girl was a photographer when she was blind but after getting the eyes, it doesn’t interest her anymore. For the second story, the monk finally accepts the medicines for his treatment whereas in the last one, the guy who always thinks about money transcends his natural mindset to help the guy. Overall, it’s a fantastic movie. It is one of those movies which every time you watch, presents you a new and different perspective.